In combination with the testo 660x probe series, the testo 6651 temperature/humidity transmitter meets high demands. It is not possible to solve every measuring problem in air conditioning technology with “simple” temperature/humidity transmitters. 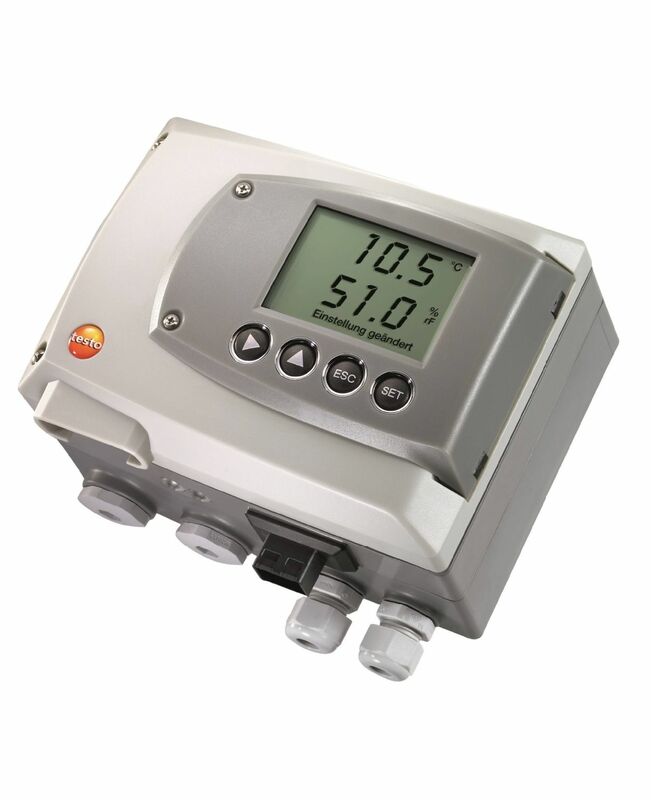 We recommend you get the testo 6651 transmitter for special challenges. Combining it with the testo 660x probe series makes it the first choice when it comes to measurement in rooms and also ducts. Note: Please keep in mind that you need an attachable probe to commission the transmitter. testo 6651 temperature/humidity transmitter for critical climate applications with selectable signal outputs, optional display, optional Ethernet module and optional relay (depending on the configuration).